It's simple and free. Get... Set... Go...! Multilingual. Mobile Application. Social Media Connect. The eMLi is a Comprehensive Education Management Suite from AuroMeera Technometrix Pvt. Ltd. for the institutions of education in India and across globe. The eML an automation package can help you get extraordinary outcomes with integrated solution for all the academic and administrative requirement of your institute. 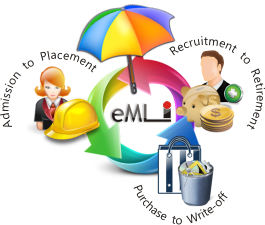 eMLi has powerful range of feature to facilitate the major entities of educational system i.e. Students, Parents, Faculties, Administrative Staff, Administrator, Governing Body, University Officials, Government Authorities etc... with comprehensive and integrated software solution for improved organizational performance. eMLi is the only suite which provides management of entire academic environment under one roof of technology. The eMLi package of automation and efficient administration can acquire extraordinary outcomes for both, the academic and administrative requirements of any organization across the globe. The eMLi encompasses diversified working of Schools, Colleges, Campus and Universities on an integrated data sharing environment. Implemented at various Schools, Colleges, Universities and Government across the globe the system eMLi has become a proven technical solution for every set of requirements for your Academic Institution. The eMLi is very extensible and scalable in nature as it’s developed with state-of-the-art web based technologies. Bring full transparency in administrative operation of your organization. Make relevant data accessible to the concern round the clock from anywhere in the world. 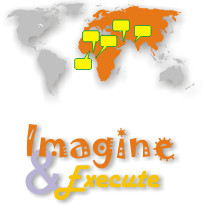 With eMLi you can monitor all the operation of your organization centrally. Apply common rules and norms across the campus. Control all unwanted activity, out of time activities and irrelevant activities. Provide access to the specific group or person for a specific time-period. eMLi will help you make your organization's performance more efficient. Reduce or eliminate the paper communication, redundancy and laborious processes. Utilize all available resources to enhance the productivity. "The chief aim of education should be to help the growing soul to draw out divine, a chance of perfection and strength in itself, which is best, and make it perfect for a noble use"
Launched in 2016, P.P Savani Knowledge City is an institute to a new era in higher education with having a talent pool of professionally sensitized industry-ready professionals. PPSUNI has adopted eMLi: Decision Support and Management Control System for entire campus. Established in 1955, St. Xavier's College is Gujarat's No. 1 Autonomous College. Cairo Higher Institute For Engineering, Computer Sciences And Management, Cairo, EGYPT has opted eMLi for entire campus automation. Tijara is dedicated to women education and to its progress. This college is the first client of eMLi in Rajasthan State of India. Dera Natung Government College has opted eMLi for entire campus automation. Women's College, Tinsukia was established in 1966. This college is the first client of eMLi in Assam State of India. Previously known as Silvassa Institute of Higher Learning has opted eMLi for entire campus automation.